Short Character description: The first thing to note about Viktoria is that she has very pale skin, even for a human it's odd with the whiteness of her skin. Adding to the uncommon look of her would be the fire red hair ontop of her head, tied in a ponytail at the back of it. Having been warned by her trainer as it being a risk for getting grabbed by the enemy (or friend) she still wears it. Moving down, onto her body it would still keep those childlike features as she hasn't quite yet developed fully. Her chest as well as lower back being fairly flat with little to see or bounce around, making her stand out from many of the older Kal'Dorei at the stronghold. Freckles also dot her cheeks, strengthening the argument about her having a young body. Though her age is nineteen she has just been fairly unlucky with the development of her body. Reason to join: I was told about the DnD-esque roleplay that happens here, what with the combat rolls and skill points assigned into different stats. Being the avid-roleplayer devotee that I am, this interests me to great amounts. Of course I am also looking for a nice and close-knit guild that actually uses guild chat now at the launch of a new expansion as I'm used to sitting up late on evenings it'd be nice to have someone to converse with as I roam new worlds, farming flowers and what not. Also there are other parts of this guild that interest me a lot, which probably can be guessed. I have indeed read them and I think that they sound very fair and IMO have probably helped to make this community what it is. Which Sisterhood member convinced you to join: Aennae sealed the deal for me by telling me of the wonders within the guild. Very pale human with blazing red hair, donning a pony tail. Freckles dotting her face to strengthen her young looking body, meaning that her womanly features are barely developed even though she's 19. Little bit'a this and a little bit'a that. This is a pleasant application, Viktoria. I've Rped with you myself, and can say that you are a good RPer, for that reason. You meet all the requirements of joining, and we happen to have room for a Revered Ally to join us! So, all clear for inviting you, from my end! I will wait a bit to hear opinions from other members or offiers on your application however. It seems a tradition to do so for RA cases. 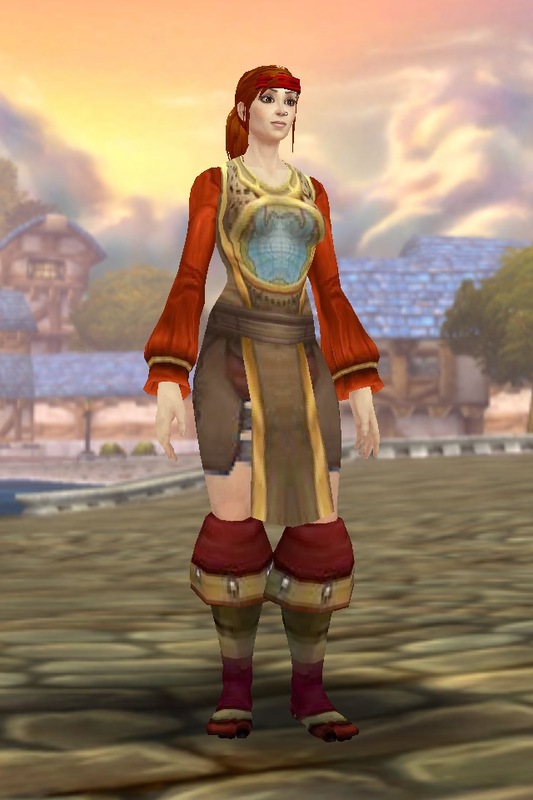 I don't mind at all, would be more comfortable from my perspective if I didn't give someone a surprise when I suddenly turned up wearing their guild tabard. Hi Viktoria, a very well written application! You really went the extra mile and I am sure people will make you feel very welcome here. Of course when it comes to any RA case, the online application has to be a box-checker for whatever actually goes on within the game so I think it would be best to keep this as a 'watch this space' - though given the character's curiosity about all things Kal'dorei I highly suspect that her welcoming among the Sisterhood is likely. Fabulous writer and a well constructed character, I hope to see a lot more of her in the foreseeable future! You are most kind, Aennae. Didn't think rappers were this kind to people. No harm at all, good option, cant add anything except good stuff!